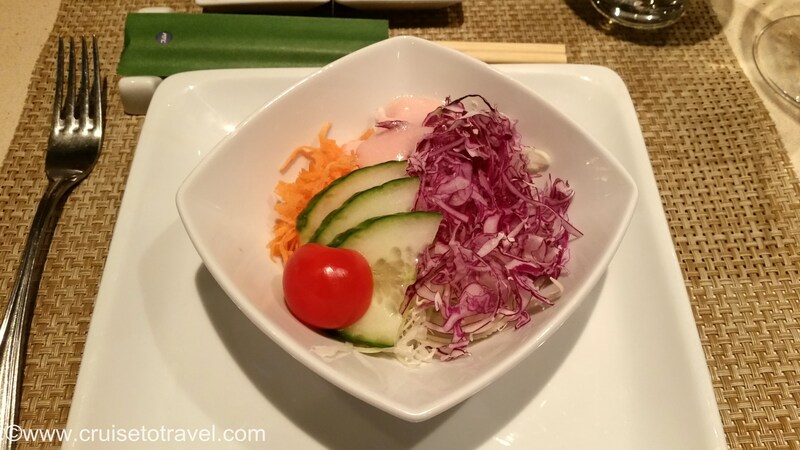 After our first Teppanyaki experience onboard Norwegian Jade last year we decided that this year, while on Norwegian Epic, we definitely had to repeat that expercience. 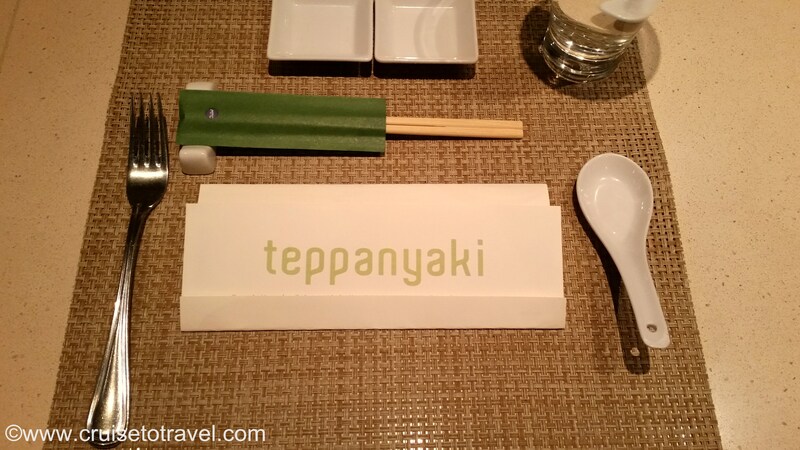 While you normally pay a $29,59 cover charge when dining at the Teppanyaki restaurant, thanks to our specialty dining package that cover charge was “waived”. 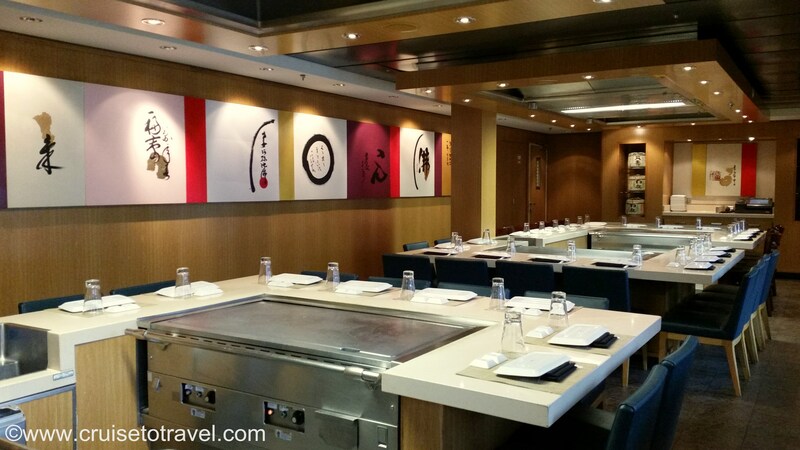 Together with the Wasabi, Sushi and Sake Bar, the Teppanyaki restaurant forms a little Japanese corner on deck 7 of Norwegian Epic. 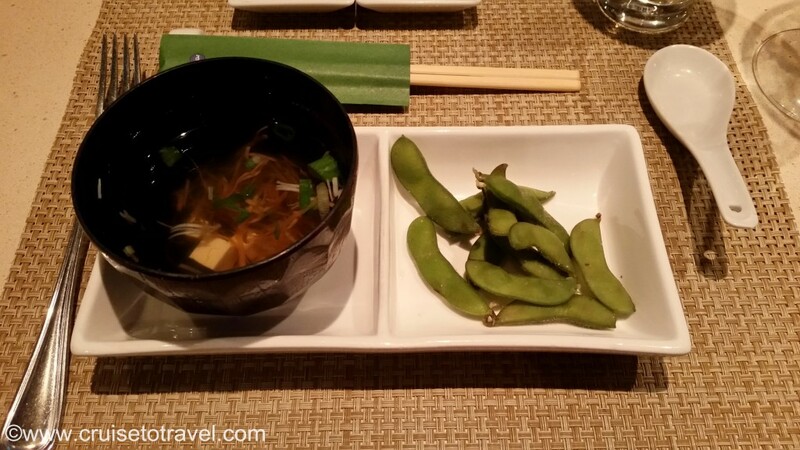 The First Course consisted of a Miso Soup accompanied by Salted Soy Beans and a Salad with Ginger Dressing. For our Main Course we opted for the Samurai and the Land and Sea combinations. 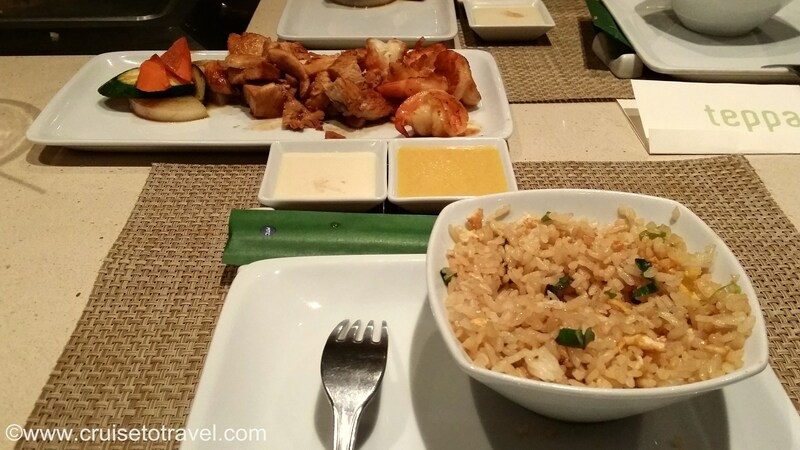 The main course is served with Garlic Fried Rice, Japanese Teppanyaki Vegetables and an Onion and Creamy Mustard Dipping Sauce. 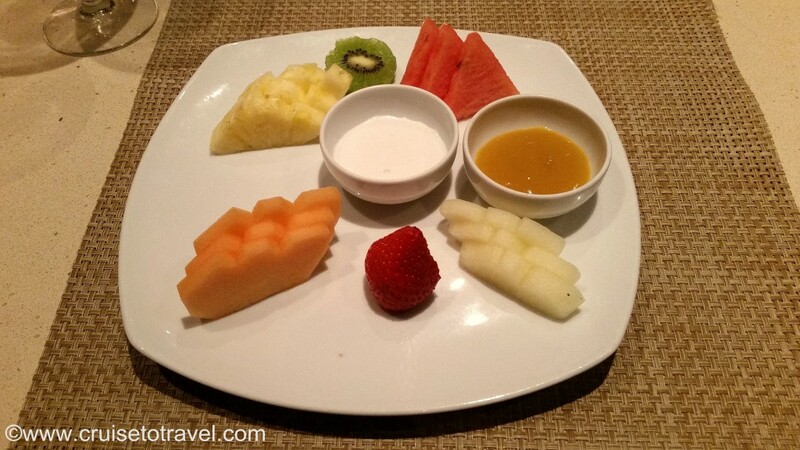 For dessert you can choose between a Green Tea Cake and a plate of Fresh Fruit Sashimi. 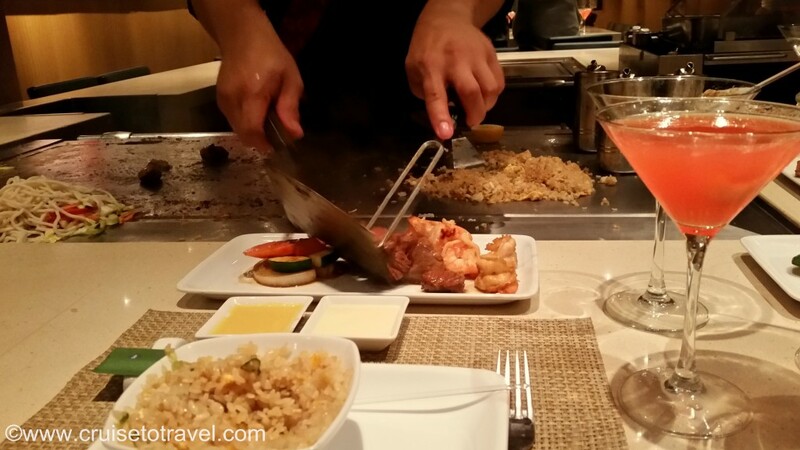 Eating at the Teppanyaki restaurant is more than just having a Japanese style dinner. It is a social event, where the chef not only prepares your dinner but entertaines you while doing so. 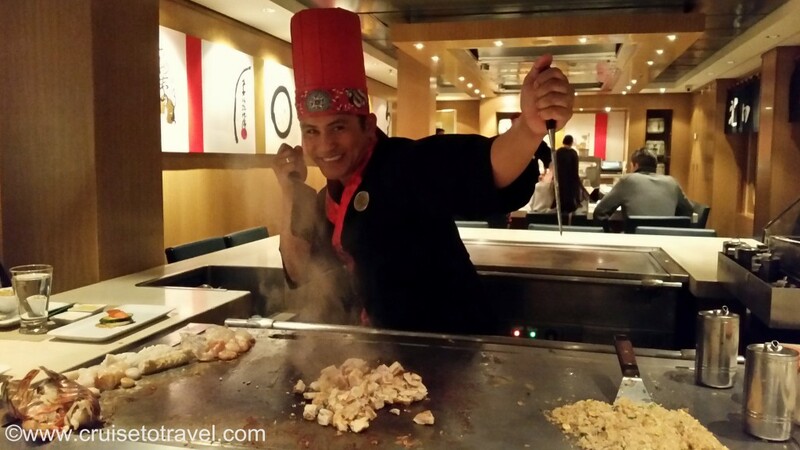 He sings, juggles and plays with the ingredients, and before you know it dinner is served. 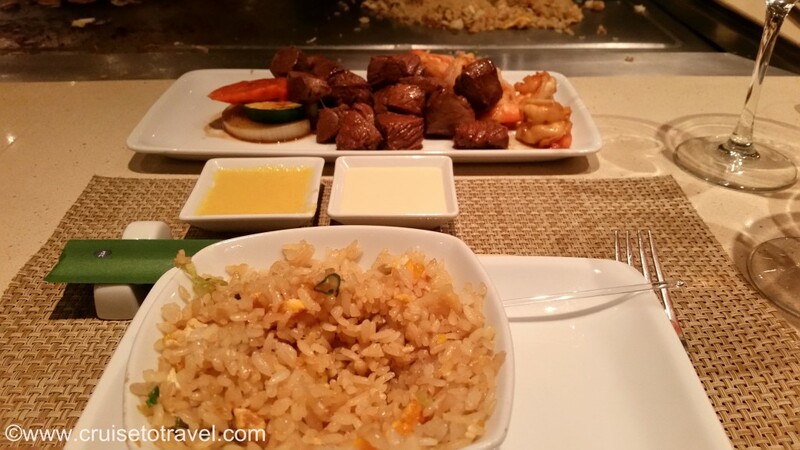 So far I have eaten a lot of Filet Mignon on this cruise, thanks to Cagney’s Steakhouse and Moderno Churrascaria, but the Filet Mignon I tasted at the Teppanyaki restaurant was the absolute best. 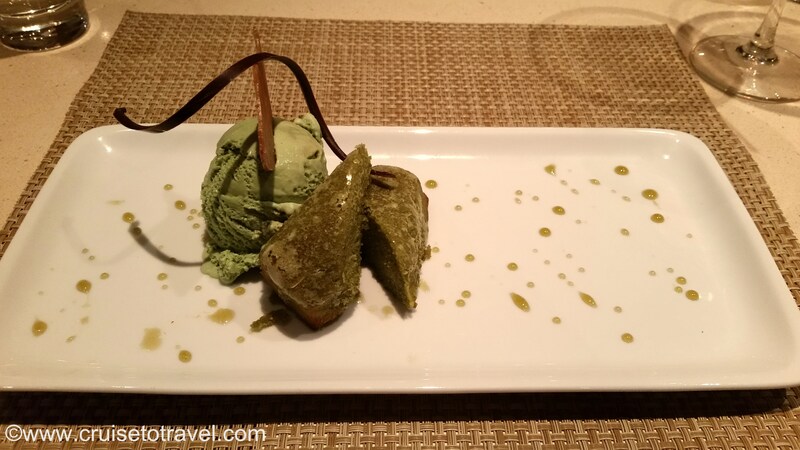 And if you have been to Cagney’s and Moderno you’ll know what I’m talking about!